Dr. Harry Eeman is a Rehabilitation Medicine Physician and a Specialist Pain Medicine Physician. He sustained a severe form of Guillain Barre Syndrome in 1999 that saw him hospitalised for 2 years, of which 5 months were in ICU. He now works in Melbourne at metropolitan hospitals and uses a manual wheelchair. 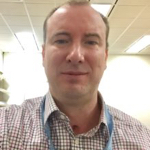 Inspire Award recipient 2016 for outstanding achievement in a medical speciality. Dr. Hannah Jackson is a general practitioner in Hobart, Tasmania and a senior university lecturer in general practice. 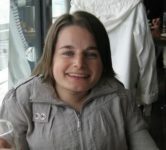 Hannah has osteogenesis imperfecta and is a manual wheelchair user. 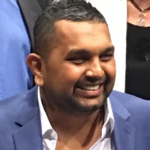 Dr. Dinesh Palipana is a resident medical officer in Queensland. He earned a degree in law before medicine. Dinesh has a spinal cord injury secondary to a motor vehicle accident. He eventually became the first quadriplegic intern in Queensland. He has an interest in radiology and a research interest in spinal cord injury.